One of the best less consider holiday spots, Geneva has a lot to offer. A bustling, modern city, but surrounded by wonderful nature and steeped in plenty of history. Thinking about having a mix between peaceful bliss on your break and some seriously thrilling experiences? If so, Geneva is a place well worth considering. In this article, we’re going to look at a few reasons why. Just make sure you pack some winter clothes if you’re heading up the mountains. Of course, why wouldn’t you want to hit the mountains? They are gorgeous and just rife with potential for the rush of adrenaline. Geneva is surrounded by mountains, with the kind of luxury skiing resorts you might hope to see there, as well. If you want to be close enough to the city to spend days there but retreat to a mix of excitement and pampering, setting up in one of these can be just for you. Naturally, if you’re talking about natural beauty, then you really can’t ignore this. Lake Geneva is a big part of what the city is famous for. The Jet d’Eau fountain situated in it is easily one of the city’s most famous landmarks. A perfect lake for taking a romantic boat ride. You can go further out, as well, to the expansive wine tasting region. Nothing like a taste of local cuisine to go with the view of some of the bluest waters you’ll ever have a chance to see. Of course, it should be no surprise there’s plenty of room for water-sporting activities for the thrill seekers, too. For those of you who want to spend more of your time in the city, there’s plenty of reason to do that. Geneva is a historically important town with vestiges from all kinds of ages making for some of the best architecture you’ll ever see. For example, explore the 12th century St. Pierre Cathedral to see an evolving blend of different stylings. Taking a visit to the International Red Cross and Red Crescent Museum is a profound experience as well. In 2015, it even won the European Museum of the Year award. One of the reasons that Geneva is such a fantastic place to visit is because of the sheer amount of destinations within easy reach from it. From the mountains and the lake to cities well worth visiting in their own right. If you want a little day trip outside of Geneva itself, it’s easy to just as easily take an hour’s trip to Lausanne. Most worth exploring is the walking tour from the modern city center to the beautifully preserved old town. 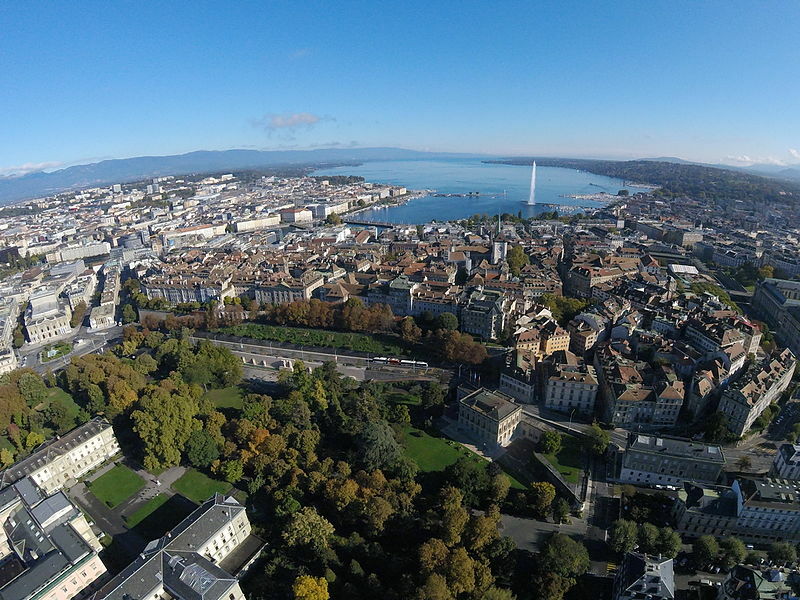 We hope this article has convinced you of why exactly you should consider making Geneva your next travel destination. It has all the perks of a great tourist city but not quite as busy. It can even be a great choice for a cheap city break. This entry was posted in Special posts on July 7, 2016 by Amélie.